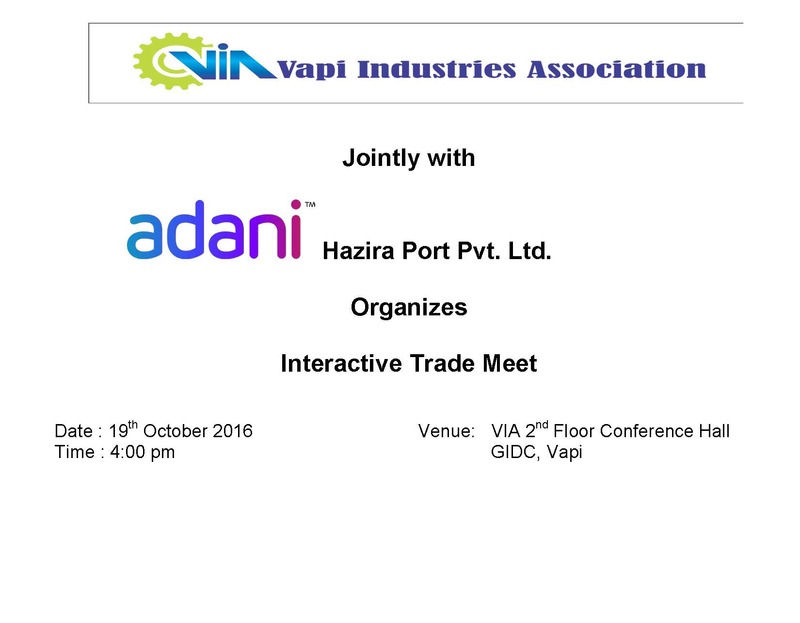 Vapi Industries Association organizes an Interactive Trade Meet jointly with Adani Hazira Port Pvt. Ltd. at 4:00 pm on 19th October 2016, Wednesday at VIA 2nd Floor Conference Hall. The program is organized with a purpose to make the industries members aware about the facilities for transportation through port is available at Hazira and the service provided for the same by Adani Hazira Port Pvt. Ltd. which are comparatively convenient then Nahva Seva Port. You are cordially invited to attend the same and get the benefit of it.